Welcome to our Trampolines page at Navito UK Shopping. Trampolines are great fun and ideal for kids with lots of energy. Modern trampolines have become safer as they have safety nets. Manufacturers such as Jumpking Trampolines are at the leading edge of trampoline design, offering strong, high build quality trampolines that should stand the test of time well. Modern weather proof materials such as galvanised springs have been used to maximise longevity. Kids will love playing on a trampoline and think of the peace and quiet you will gain with the kids happily occupied in the garden. 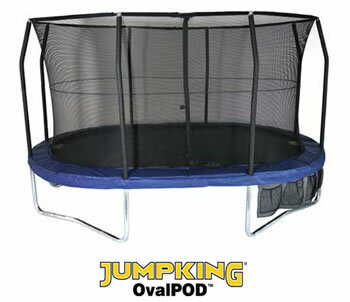 Thanks for visiting our Trampolines page. We hope it helped find what you were looking for.